All jabs and jokes at the Chris Rock ‘Hair’ Movie aside, Black women’s hair is serious biz – monetary and cultural. This docu-miniseries from Essence mag is focusing on the cultural side. The women are beautiful; Afro-Brizilian beautiful. But some of the stories and struggles they share… not so. While producing our August global issue in Rio de Janeiro, we interviewed women who are celebrating the “Afro” in Afro-Brazilian. However, their hair journey has been a battle of personal, family and social acceptance because of Brazil’s complicated history with race and identity. Start with Part 1 above, and continue with Part 2 after the jump. This is the official first compilation video for his album Rosebudd’s Revenge. It features these songs: “Rosebudd’s Revenge,” “Move Dope,” and “Here I Am.” Get Rosebudd’s Revenge on RocMarci.com now. Young Thug is extremely talented? Future was supposed to be signed to Mayweather? Mayweather Money ain’t like ‘other’ money; neither is his fashion. True Religion, Jordans, that’s for others. Traveling… Ibiza…. San Trope…. Floyd’s been there and all of there. Not impressed. To Kanye West: Keep up the good work …really misunderstood. It’s not all about the money… but he is ‘Money’ Mayweather. Okay. Right quick: The answer to the above question on systemic racism being a ‘thing’ is YES! It is a thing. Films For Action did an investigative mini-doc series about it. Wanna see it? Here it is. Start with the first of eight exhibits on the subject, Part 1: Wealth Gap, above. The rest of the series’ minute-long videos follow after the jump. Take a bit of time. You need to see them all; even if you knew the answer to the question. And visit www.raceforward.org for more info when you are done viewing. I guess this is what I gotta do to make y’all rap. 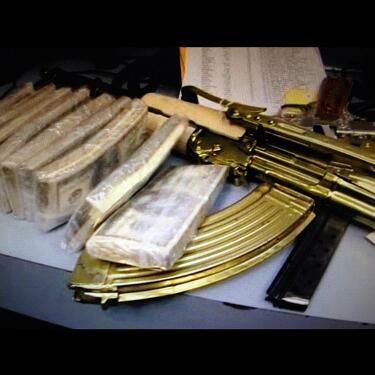 The shottas heard round the world wide web. This “Making A Murderer” (produced by araabMUZIK) is labeled Part 1 there is a Part 2 coming. Like this shot by Budden is the spark to finally get Drake fired up enough to fire back. We shall see, but either way there is some grown man in-yo-face dissing on this track. Direct. No subtle talk. Listen (or listen again)! Definite niceness as you see what Vegas has to offer through a couple’s eyes. More than just the clubs and casinos, way past the ‘Oceans Eleven’ view of the city. Watch vlogger Sazan Hendrix and her hubby Stevie do the town during the daytime (above) and after sundown (hit the jump). Dude… a cupcake ATM… YOOOOO! Wow. The Game drops some lean-in-and-listen stuff with us in this sit down: speaking on L.A. gang history and culture, making up with Dr. Dre (given his beef with 50 Cent), on how he got Kendrick Lamar on his first mixtape, on the N.W.A. 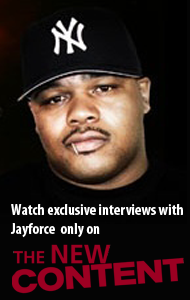 biopic (“Straight Outta Compton”), and more below after the jump…..
CLICK HERE FOR MORE OF THE GAME’S INTERVIEW BELOW…. Almost perfect. Almost. Now, the model Jai Livia (aka 5StarJai) is incredible! And her on the beach… put it this way… I don’t know what the temperature was that day, but the shoot with the hot model looks like it went cool. Watch. It will have you feeling a little… warm. So why almost you ask? The music. You know, sometimes the cussing just isn’t necessary. It just kinda goes way too hard when Future drops in with the rapping. Just saying. Anyway, this visual experience is a very nice reminder of warmer days gone by (and coming again); with visions of lovely Jay Livia on some beach, somewhere. So nice. Also nice: Jay Livia aka @5StarJai on Instagram. Follow her there if you want more. Above: One of four segments on the Ferguson Rebellion, a response to the killing of Mike Brown at the hands of Police Officer Darren Wilson (against whom no charges will be brought). Carrying on in the vein of Occupy Wallstreet, this part of the story covers the beginnings of the rebellion and current events from Ferguson October. Commentary includes words from young people at the front lines – including activist/MC @TefPoe and activist/organizer Tara Tee. And this is BK’s own, Jean Grae, repping it to the fullest in Episode 1 of her new sitcom series, ‘Life With Jeannie.’ sitcom. Part 1 of Episode 1 is “My First Baby Jesus” (above). Parts 2-4 are posted after the jump. Reserve Channel has given platform for engaging talk from extraordinary people. Spike Lee ranks among the highest of them on this episode of the Channel’s ARTST TLK (hosted by Pharrell Williams). Lee talks about his start, shooting film in the summer of 1977, exposing kids to art at an early age, his impetus from bringing “The Brooklyn Chronicles” to the screen. I don’t have the words. VICE brings us another necessary wake-up call about the horrors of human existence. This time: Syria’s civil war. In 2012 VICE commissioned photographer and videographer Robert King to document the civil war that has been ravaging Syria for the past two years. Largely based on Aleppo, Robert’s footage of the violent conflict that continues to unfold in the region is perhaps one of the most thorough and brutally honest documents of a war that is increasingly destabilizing the Middle East as it spills over into neighboring Turkey and Lebanon. This full-length version of Ground Zero: Syria combines all six parts of our series to offer a startling glimpse into a chaotic war with no clear end in sight. The documentary episode “Ground Zero Syria” (Chapter 1) starts with Part 1 embedded above. All the other videos in this 6-part series are embedded after the jump. WARNING: EXTREMELY GRAPHIC, DISTURBING, AND VIOLENT CONTENT! 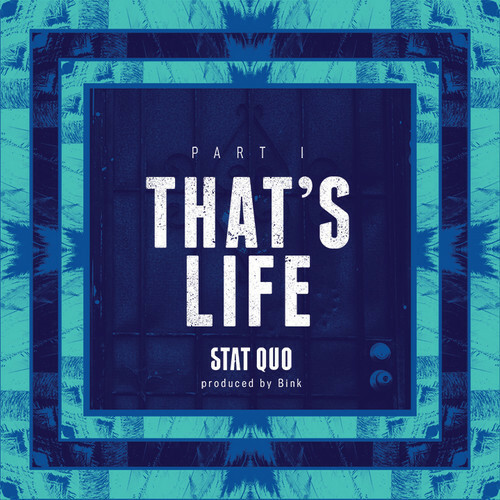 In the premiere episode of “Put It On The Line” – Slum Village’s vlog (e.g. video blog) – the crew speaks on the formation and up-n-comings of the SV, then to now. Decent Q&A vid for fans who want a little perspective and background straight from the artists themselves. SOLID GOLD BANGERZ & BIG MONEY HITZ!! This is the rebroadcast of the show that aired on 11/17/12 featuring a jam packed segment of non-stop new & exclusive hip hop radio bangerz! No special guest on this week’s show, but it’s chock full of Solid Gold Bangerz & Big Money Hitz! It’s another banger laced edition of the world’s livest hip hop show broadcasting from Atlanta! 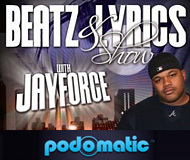 This is another banger laced edition of the ‘Beatz & Lyrics Show with Jayforce! Click on the appropriate links for the complete tracklisting in each segment. Listen or download parts 1, 2, & 3 from above, below or from itunes or from the soundcloud page. In part 1 of ‘NBC NiteCap’ Peter Bailey talks with Lupe Fiasco about the business of Hip-Hop, perspectives on Hip-Hop’s conscious side vs. ‘ignorant’ content, the influence of other music genres on Hip-Hop, views on real wealth, and much more. Make sure you check out part 2 of the interview below as they delve into the difference between being a ‘rapper’ and being an ‘artist,’ on the influence of today’s Hip-Hop on young fans, and more. In this particular episode, they catch up with Nas as he rehearses for Rock The Bells. In between rehearsing Nas speaks on his debut album, speaking for the voiceless & people he knew through his music, & his new album Life Is Good.